First Grade Follies: Throwback Thursday, Primarily Speaking & Bright Concepts for Teachers Giveaway, and Chicken Pot Pie! Throwback Thursday, Primarily Speaking & Bright Concepts for Teachers Giveaway, and Chicken Pot Pie! That title is cracking me up, even as I'm writing this! Let me say that the only thing those three things have in common, at least as far as I know, is that they are in my blog post this morning! I'm starting with Cara's Throwback Thursday linky over at The First Grade Parade. I am in love with this idea! Linking back to old posts. I'm seeing some great stuff out there that I would have missed. Pretty soon I'm sure we'll be sharing our best tips & tricks for back to school. I said it. Those dreaded words. Back to school. I'm resisting the urge to do "schooly" things until after the beach, which is next week. Until then, my mind is still on sweet summertime! The post I'm linking is from last July when I made my FIRST item for TPT! 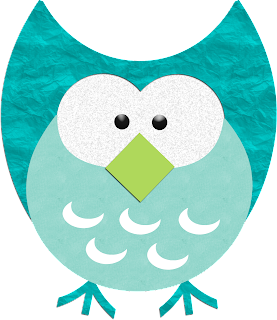 It's a set of customizable owl-themed I have, who has cards. They're still free in my store if you want to pick them up! 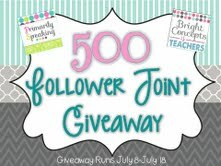 NEXT, I'm glad to say that I part of a FANTASTIC giveaway today that's being hosted by Jamie & Aimee at Primarily Speaking & Bright Concepts for Teachers. They are celebrating 500 followers! Do the Hustle, ladies! :) Head on over & check it out! One of the prizes is an item of the winner's choosing from my TPT store. Last, but certainly not least, I have a recipe that I tried out this week and LOVED! 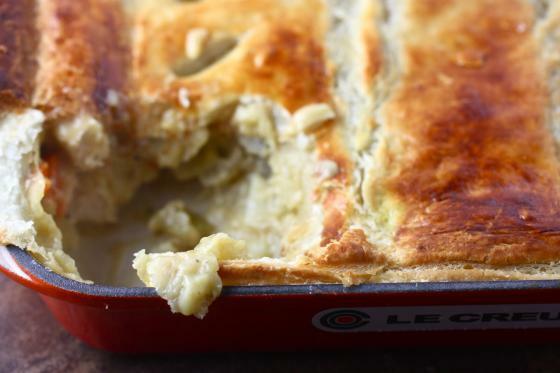 It's a super-good chicken pot pie made with puff pastry. SO, SO delicous! And since you BUY the pastry already made, it's even easier because, c'mon, I do NOT know how to make puff pastry...at least, not yet anyway! In a large pot, bring the stock to a boil and add the carrots, celery and potatoes. Simmer for about 15 minutes, or until veggies are tender. Remove veggies and pour stock in a large measuring cup or bowl to save for later. Fill the pot up with fresh water and bring to a boil. Add chicken thighs and let simmer for about 20 minutes, or until cooked through. While the recipe says to let them cool, I just put on some rubber gloves & pulled the chicken apart I like rustic shreds rather than uniform cubes of chicken, but that's just me. Rinse that pot out, again! Medium heat, melt your butter, add onion and cook for 6 minutes, stirring occasionally. Add flour and stir constantly to make a roux. Cook for another five minutes, or until the roux begins to smell toasty and darken a little bit in color. That's the good stuff! Slowly stream in reserved stock while stirring to make the sauce (it will get thick!). Cook and stir for another three minutes then turn off heat and slowly stream in the cream. Stir until it's nice and smooth. It will come together, I promise! Add cooked veggies and chicken back to the sauce as well as the salt and pepper. Pour pot pie filling in a large casserole dish that holds at least two quarts. Unfold defrosted puff pastry sheets and gently lay over the top. Brush top with a beaten egg for shine. Cut small slices in the pie to let steam escape and then bake for 10 minutes. Cover with aluminum foil and bake 25 more. I ended up taking the foil off and putting it BACK in to brown up a little more before I served it. Okay, so THIS is the last thing...I just want to say that I am SO humbled by the donations coming in from family & friends for my Donors Choose project to bring 2 iPads to my classroom! How wonderful to feel so supported in a dream for my classroom! We are over half-way there! This is so exciting! If you haven't donated and would like to, enter code: INSPIRE at checkout and your donation will be DOUBLED! Incredible! I just saw this was a Throwback Thursday post and had to delete my comment congratulating you on your first TpT product! Oops! Not my best close reading skills ;) I must say though, I am so glad they are still free because I love anything with a cute owl! Thanks for sharing!! Glad I came across your blog, too. It's so cute. Love the ladybugs! I love the little owls, and that pot pie looks AMAZING...yum!!! Alisha. I have nominated you for the Liebster Award for bloggers with less than 200 followers. Pop over to my blog to read about it. Love me some Phish, too! 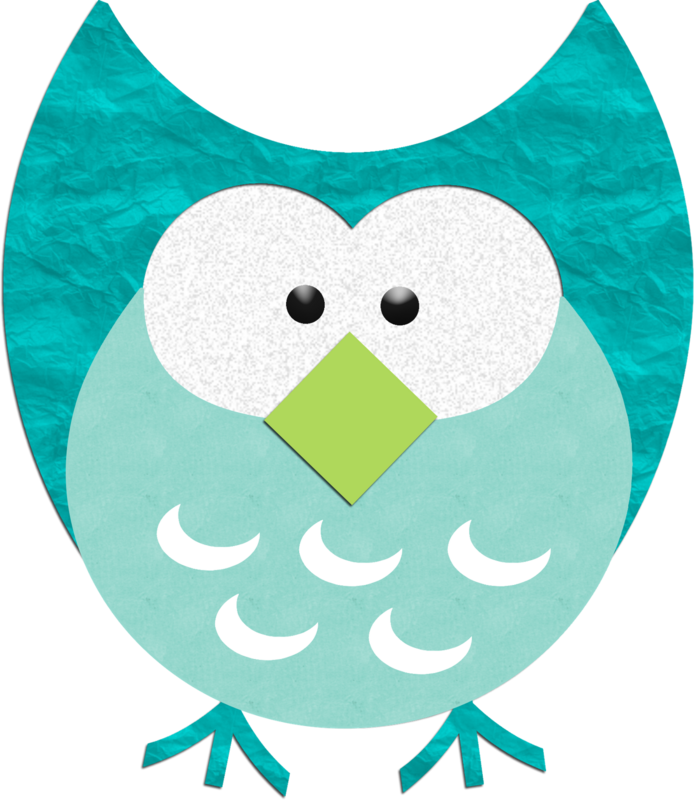 Love the owls...I think I am leaning that way for my theme this year! I am your newest follower: I can't wait to read more! Alisha, Congratulations! Last week I nominated you for the Liebster award, but I don't know if you saw the post on your facebook page. Check out my blog for more information.